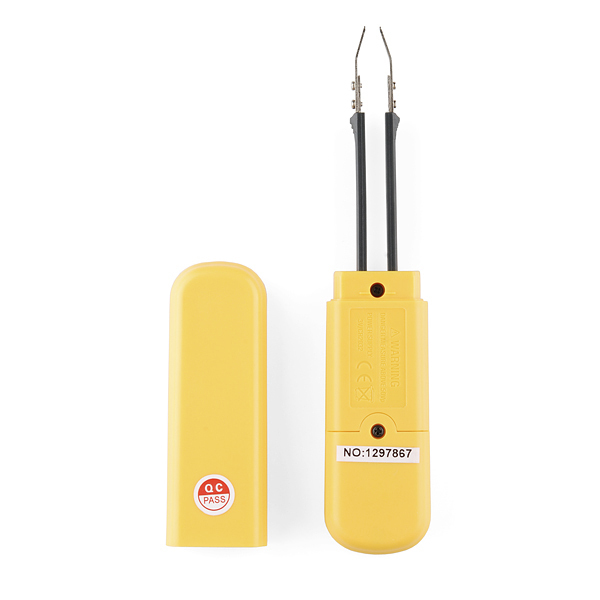 This smart SMD tester is essentially a pair of multimeter tweezers. This allows you to troubleshoot circuits with small SMD parts without having to fumble with large probes or long wires. Test resistors, capacitors and diodes one-handed! These work quite well, except for two issues: - the probes are about 1.2mm thick at the tip, which makes testing 0603 parts a bit clumsy. They can be easily unscrewed if you want to file them down, but this may affect the accuracy (there doesn't appear to be a way to calibrate it) - the lower bounds on the ranges (300Î©, 3 nF) are somewhat limiting. Caps in the pF range are often used with crystals, and having them measure in the nFs is quite confusing. This is definitely a case of PEBKAC, but having the minimum ranges printed on the case would make things a bit easier. Conclusion: they do exactly what the spec says, but you're probably better off just getting some tweezer probes for a good multimeter. 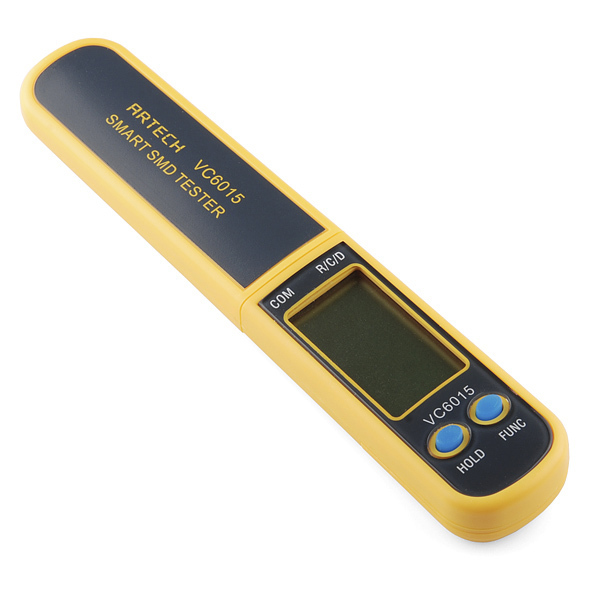 Some of you guys are looking for inductance meters. Here is one trusted in the ham radio community. http://www.aade.com/lcmeter.htm $100 kit or $130 assembled. But not smd specific. (Clap clap clap) now one that will not break the bank. Also, they are missing a comma at "Test resistors, capacitors and diodes one-handed!" between 'capacitors' and 'and'. 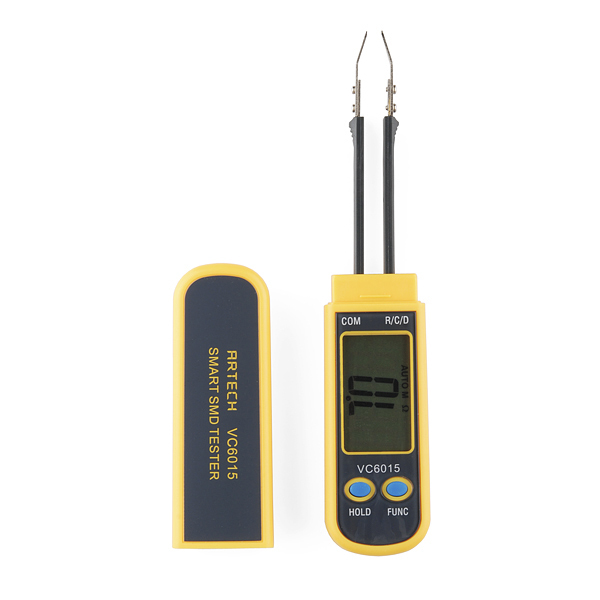 How about a set of meter cables that has tweezers for probes, so we can use them with our normal meter? Check eBay for that until Sparkfun start carrying it. You can get one for less than $10 dollars. Too bad it doesn't measure inductance. I guess if it did, it would not cost $28. VERY true. Inductance meters are hard to come by cheaply. Thank you for the reply. Can you guys get one that does inductance? Even for twice the price of this, it would be worth it. Here's a cool project It uses an arduino and an op-amp to measure inductance. We can look around, but it might be more than twice the price. I'll see what we can find. The naming sounds like a rip off of Advanced Device's 'smart tweezers'. I'm sure they're not the first company to call their product 'smart'. True, but this product is very similar in function and design to the more popular (and overly priced) smart tweezers. Companies will do that so you'll make that distinction without any legal implications. Arduino: Seeeduino, Freeduino. Pretty sure Seeeduino didn't invent the Arduino template, but now I can remember Seeeduino makes Arduino-like stuff! It is handy, light and quite accurate. I keep it with me all the time. I simply fell in love with it.